Did you hear? 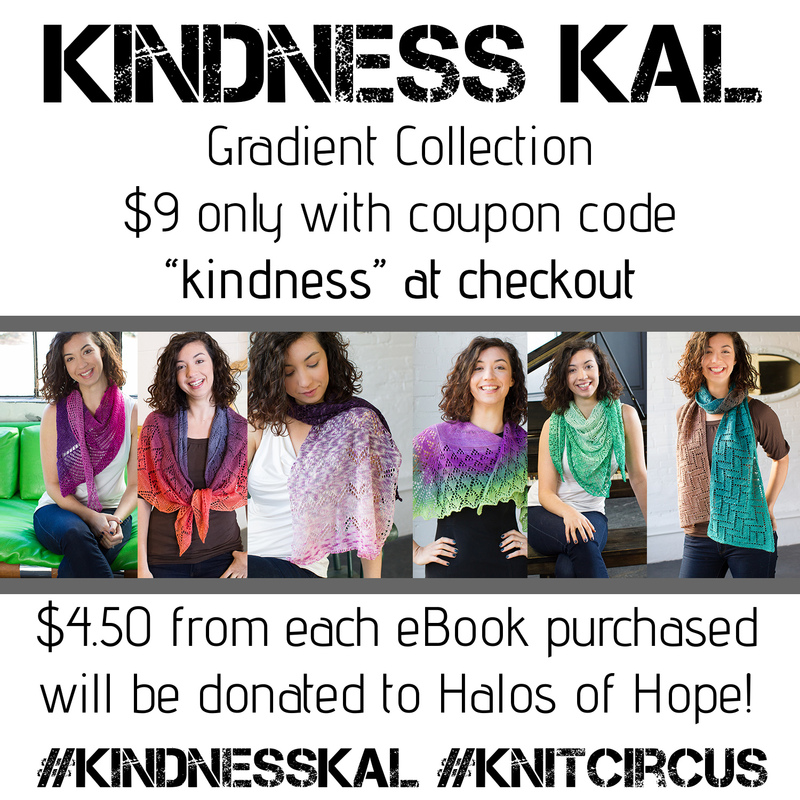 Knitcircus is hosting a Kindness KAL! It's a great way to start off the New Year and I'm thrilled to be involved with it. Knit a shawl (any pattern, any yarn). Post a photo here with the text FINISHED and letting them know which charity you’d like to support. For the first 100 finished shawls, Knitcircus will donate $5 for each finished shawl to one of the organizations. 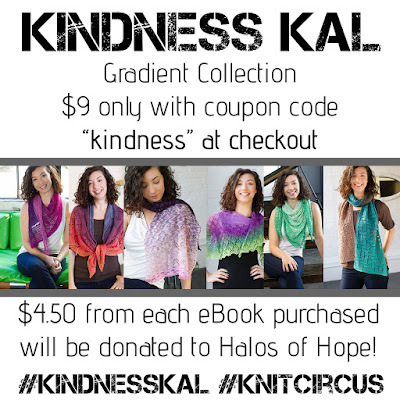 Knit a Hat for Halos of Hope! Knitcircus will collect and send them in. For every 50 hats, Knitcircus will donate $50. Donate to any of the organizations and show the world the power of knitters. As for my part, I'm offering my Gradient Collection eBook for just $9. $4.50 of each eBook purchased will be donated to Halos of Hope! Most of you know collecting chemo caps and working with Halos of Hope is close to my heart, and I'd like to help them ship as many hats as possible. The coupon code is good thru January 15th, 2017. At that time, I'll tally the number of eBooks sold and will send a big fat check off to Halos of Hope! You can read all about the Kindness KAL here.